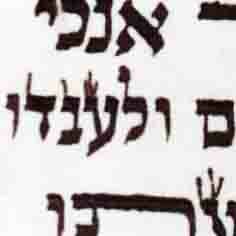 A tear in parsha shel rosh that penterates 2 lines of the 4, without cutting/damaging any letters. 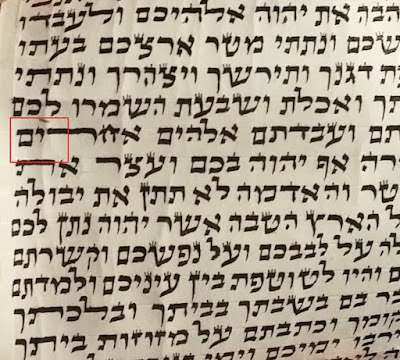 It seems in the acharonim (See Pishei Tshuva Yore Dea 280:1) that the law of a tear in the klaf of tfilin and mezuzos is the same as in a sefer tora. Accordingly it should be kosher [and obviously fixed by gluing a matlis on the back of the parsha]. 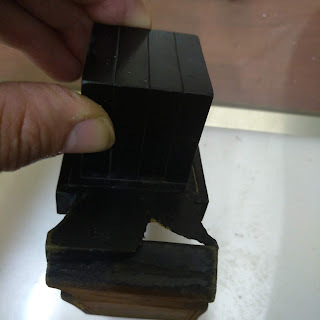 But I have doubts, since the tear is almost half the hight of the klaf, if it would be the majority of the highth of the klaf, would this be kosher although only 2 lines are penetrated by the tear. Do we consider this רובו ככולו. I saw in Chazon Ish (Orach Hayim 11:5,7) that he questions so. But is pashut that if the parsha was torn into two separate pieces [without damaging any letter] that it is pasul to glue back together.